This massive specimen measures in at over 12 inches in length. 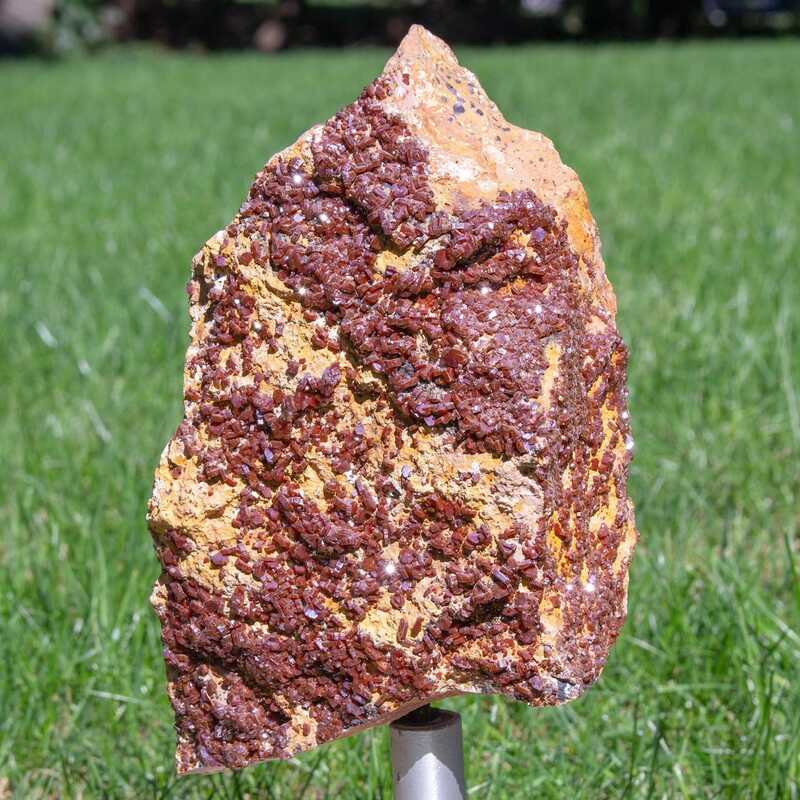 Vanadinite clusters and crystals run abundantly through this solid face manifesting vibrations of creativity and productivity. Allow its energies to stimulate your inner artist and promote positive sexual energy. Great for stimulating the root and solar plexus chakra. Aluminum mount included for easy workspace standup and display.